As regular readers of this column will be aware, I’ve often expressed doubts about the Environment Agency’s decision not to replace resident lock keepers on the Thames and to rent out their empty houses to the public. So I’m delighted to be able to report that, thanks to the hard work and determination of members of the Thames Users’ Group (Navigation) (TUGn), the Agency has been persuaded at least to modify its plans. The TUGn is a group of boating organisations representing all those who use the Thames for both recreation and trade and they have led the opposition to the EA proposals ever since they were first announced in October last year. Their argument – and mine – has always been that there are significant benefits to be had from having a resident lock keeper on site – particularly when it comes to flood situations. The EA have argued that they can respond as quickly as necessary and that there staff can be on site very quickly if the need arises – and that they need to generate revenue from the rental of lock houses to plug some of the gap left by cuts in Government funding. However, following a series of meetings between TUGn and the Agency’s officials, EA chairman Lord Smith announced that the programme of leasing lock houses would be capped to five houses at this time and further discussions to consider the way forward would be held with interested parties ahead of a full report in April 2013. This led to a further meeting between Howard Davidson, the Agency’s South East Director and TUGn coordinator Michael Shefras which resulted in an offer by the Agency that the four lock houses at Sunbury, Chertsey, Goring and Grafton on the main river and one on the entry to the Kennet and Avon Canal, four of which are already let, should be serviced by a ‘full time designated lock keeper, albeit not in residence. Michael Shefras said: “Whilst we have moved away from having a resident lock keeper on four Thames Locks, we were able to step back from the brink where we were facing nine locks without a resident which gave us great concerns. As more houses become vacant a resident will be appointed to manage the lock and live in the house. “We still believe that it makes sense to have a resident at each lock, but we will able to see the outcome of this year’s working based on efficiencies and budgets. Our main priority is to maintain the River Thames for the benefit of the hundreds of thousands who rely upon it for so many diverse reasons. It’s not a perfect solution, but all credit to the TUGn lads for refusing to give up the fight and at least persuading the EA to have a rethink. 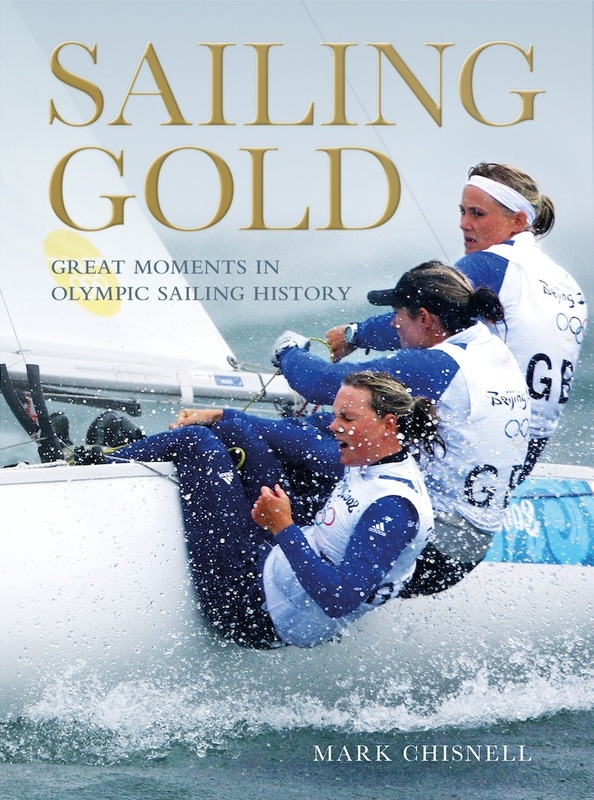 WITH the Olympics now just a few months away, all those who enjoy the sailing competition will want to take a look at a new book just published by Adlard Coles Nautical called Sailing Gold. It’s written by Mark Chisnell, a writer, broadcaster and professional racing sailor, and it draws back the veil on the tremendous hard work required to earn a gold medal in the sailing events. Beautifully illustrated, this book reflects the entire history of Olympic sailing focusing on the boats, the designers and, of course, the stars who do battle with the elements out on the ocean.